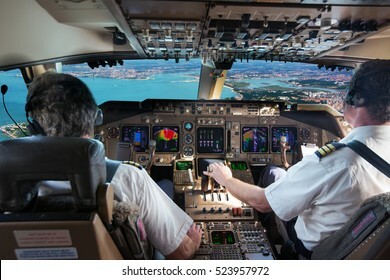 Pilots fly the plane. View from the cockpit of a modern passenger plane on the clouds behind the aircraft window. Flight Deck of modern aircraft. 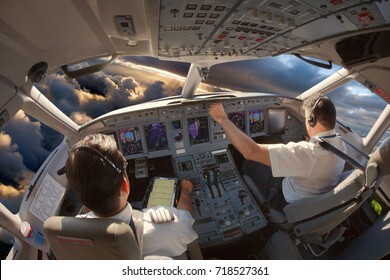 Pilots at work. Clouds view from the plane cockpit. 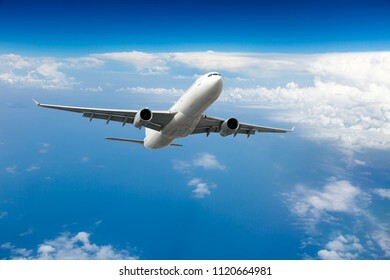 Passenger plane in flight. 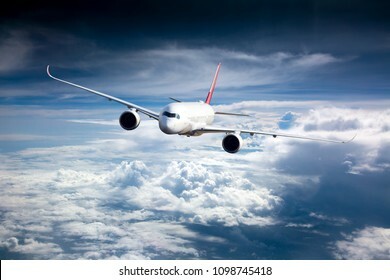 Aircraft fly high in the sky above the clouds. 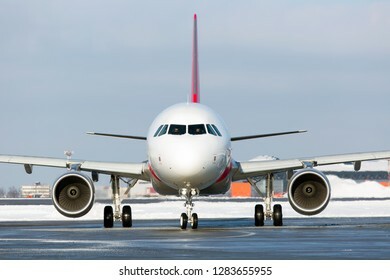 Front view of airplane. 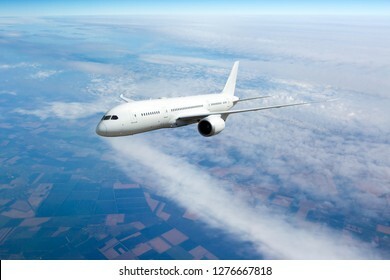 A passenger plane flies in a transparent clear blue sky. Aircraft flies over the clouds. Front view of aircraft. 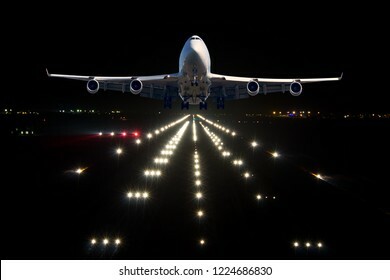 A passenger plane takes off from the night airport runway. Airplane front view. 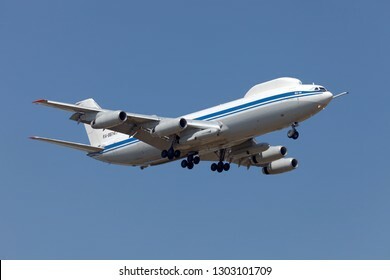 White double decker passenger plane in flight. Aircraft fly high above the sea coast. Aerial view. 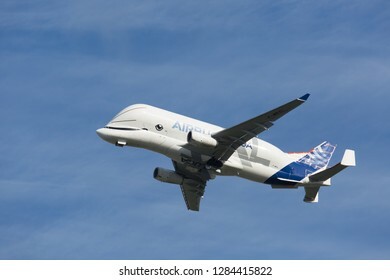 White double decker passenger plane in flight. Aircraft fly high above the sea. Aircraft bottom view. Front view of aircraft in flight. 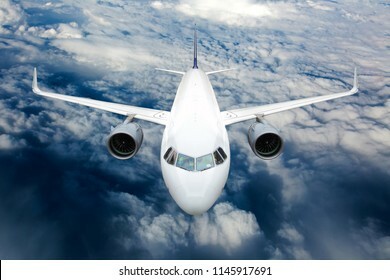 The passenger plane flies high above the clouds. Airbus factory, Blagnac Airport, Toulouse / France - 12.18.2018. 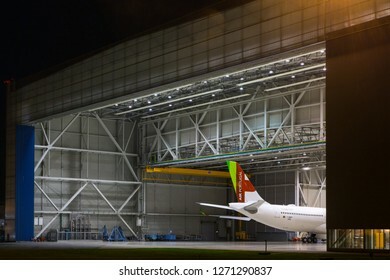 New passenger aircraft Airbus A330neo of TAP Portugal in the hangar during maintenance. Night time. 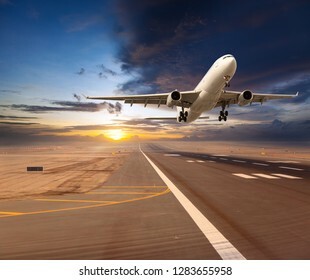 Passenger aircraft landing. 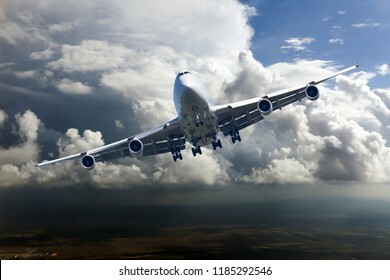 The aircraft with landing gear reduce the altitude. Front view. 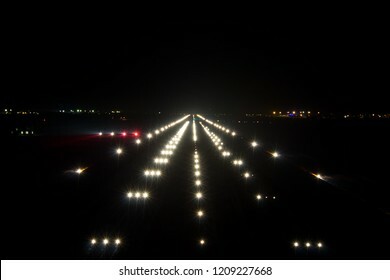 Night airport runway. Runway lights and PAPI-lights. Stockholm / Sweden - 01.31.2019. Arlanda International Airport. 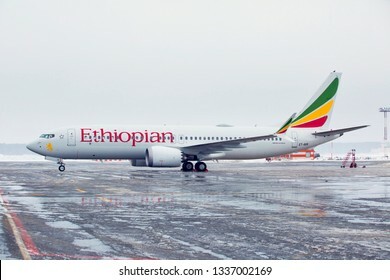 Passenger aircraft Boeing 737 MAX8 of Ethiopian Airlines before flight. 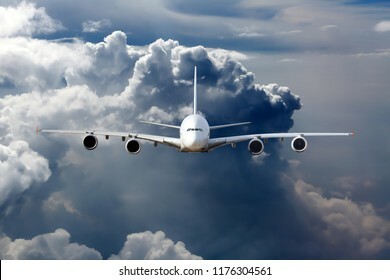 A passenger plane in the cloudy sky. 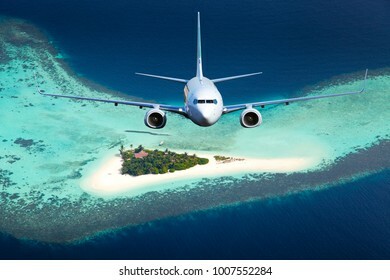 Aircraft flies over the sea and the tropical island. 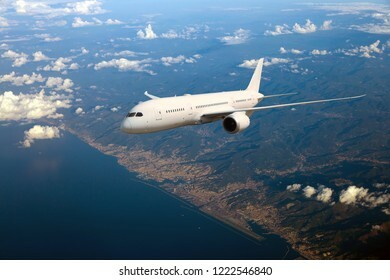 White passenger plane in flight. Aircraft flying high in the blue sky over the clouds. Cockpit of a modern passenger aircraft. The pilots at work. 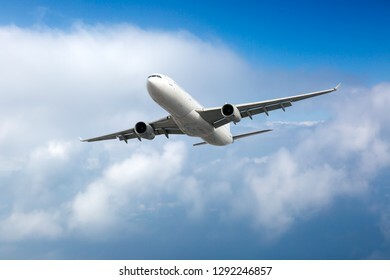 Passenger plane in flight. 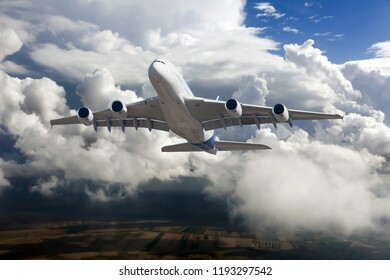 The aircraft flies high in the sky above the storm clouds. 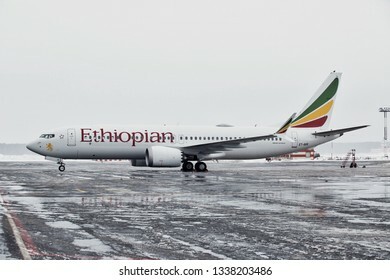 Passenger plane takes off from the airport runway. Front view of aircraft. Sunset time. Square format. Front view of the passenger aircraft in flight. Thunderclouds in the background. 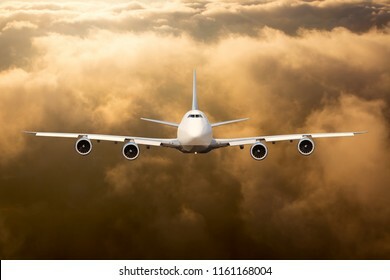 Passenger plane in flight. 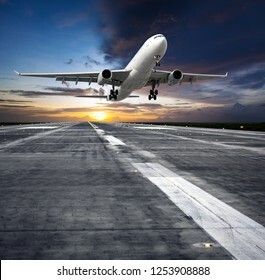 Aircraft takes off from the airport runway during the sunset. Front view of aircraft. Blagnac Airport, Toulouse / France - 12.15.2018. Airbus Plant. 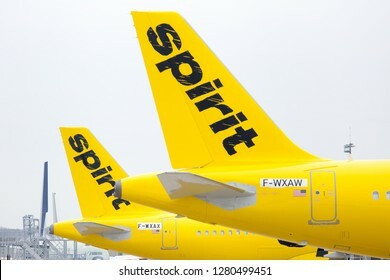 Yellow passenger aircraft Airbus A320 of Spirit Airlines. Tail close-up. 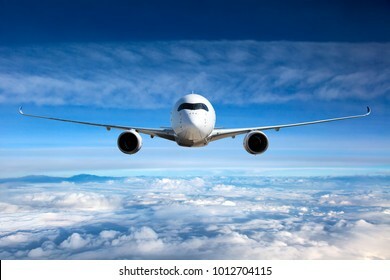 A passenger plane flies in a transparent clear blue sky. Aircraft flies over the clouds. 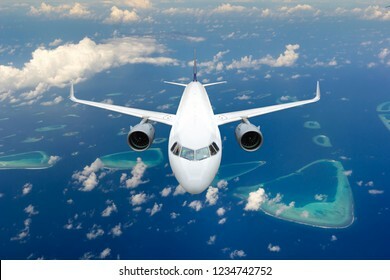 White passenger plane in flight. 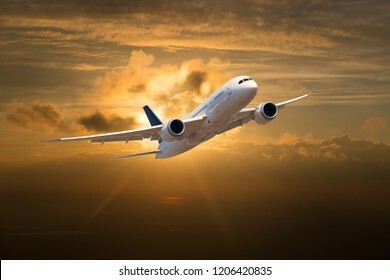 The plane flies against a background of sunset clouds. Aircraft side view. Airbus Plant, Toulouse, France - 30.03.2018. Factory inside. The final assembly shop. 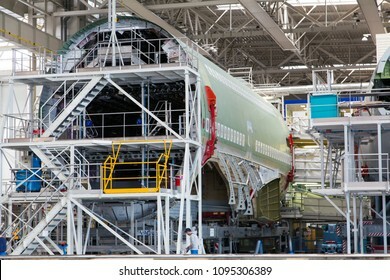 Double-deck passenger airplane Airbus A380 in the process of creating. Close-up. 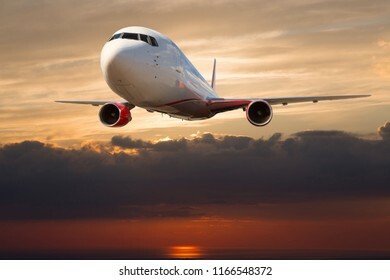 White passenger plane in flight. Aircraft fly away above the clouds. Back view of aircraft. 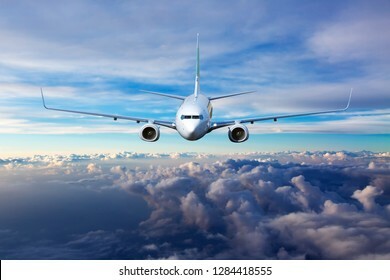 Passenger plane in flight. 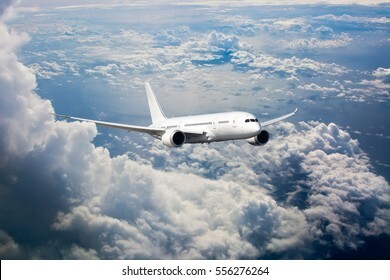 Aircraft fly high in the sky above the clouds. Back view of airplane. 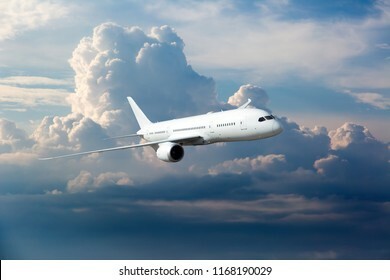 White passenger plane in flight. 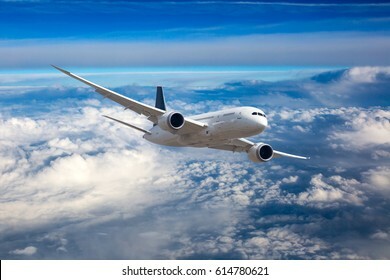 Aircraft flying high in the blue sky above the clouds. Aircraft flight deck. The pilots at work. View from airplane cockpit to the skyscrapers and city quarters. Blagnac Airport, Toulouse / France - 12.15.2018. 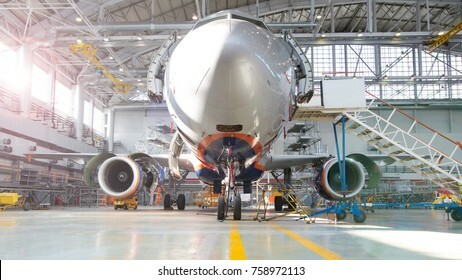 Airbus factory. New passenger aircraft Airbus A330neo of Azul - Brazilian Airlines (Azul - Linhas Aereas Brasileiras). 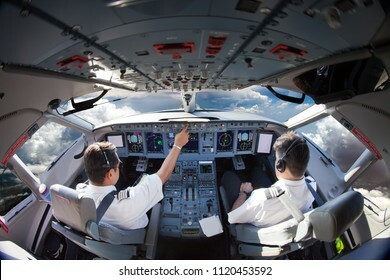 The pilots of the passenger plane at work. View from the aircraft cockpit. Moscow / Russia - 03.19.2019. Sheremetyevo International Airport. 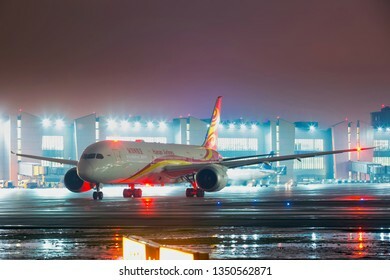 Passenger aircraft Boeing 787 Dreamliner of the Hainan Airlines taxiing on the airport runway. Night time. 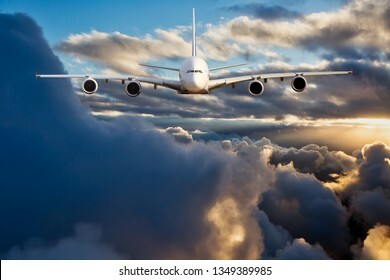 Image of a passenger plane flying above the sunset clouds. Front view of the aircraft. The aircraft is located at the top of the image. Most of the image is vacant for your text. Moscow / Russia - 01.31.2018. Domodedovo International Airport. The handling agent registers the passengers of Emirates Airlines for the flight. 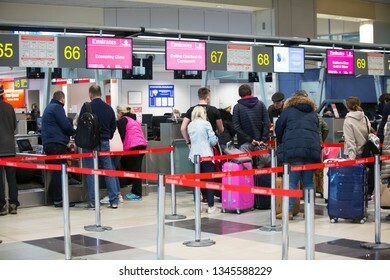 Passengers check-in at the airport. Passenger jet plane in the sky. Airplane flies high above the clouds. 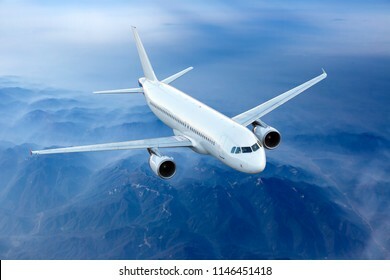 White passenger plane in flight. Aircraft fly above the clouds. Front view. 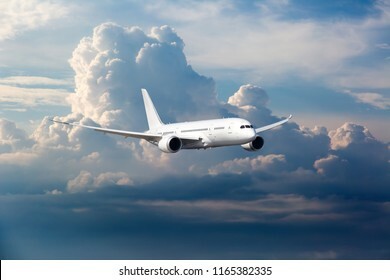 White passenger plane climbs through the clouds. Aircraft is flying high above the city. 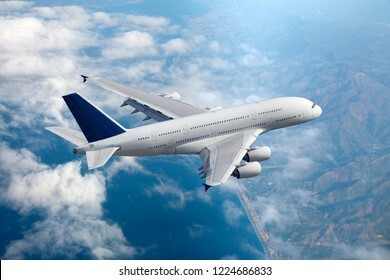 The passenger plane in flight. 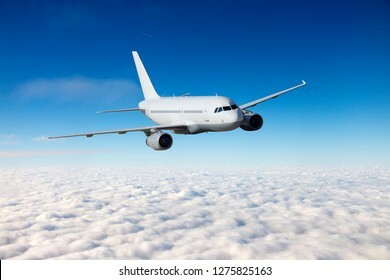 Aircraft flies high in the blue sky over clouds. Front view. Denpasar, Bali / Indonesia - 03.23.2018. Ngurah Rai International Airport. 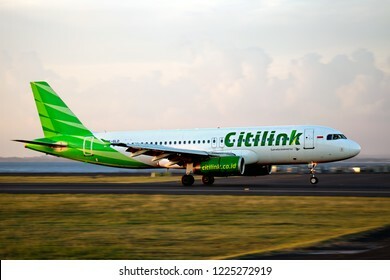 Passenger aircraft Airbus A320 of Citilink Airlines landing during the sunset time. 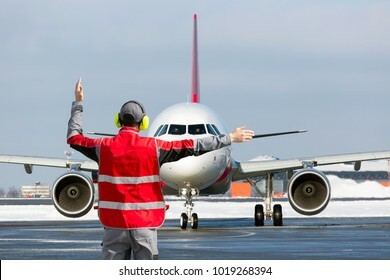 Aviation Marshall / Supervisor meets passenger airplane at the airport. Ground Crew in the signal vest. 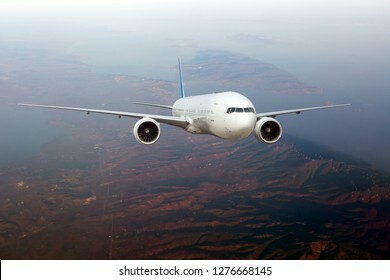 Passenger plane in flight. 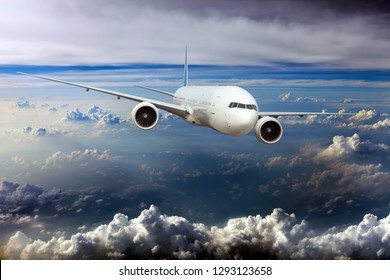 Aircraft fly high in the sky above the clouds. Front view of aircraft. Toulouse / France - 12.17.2018. Airbus Plant, Blagnac Airport. Modern passenger aircraft Airbus A350 XWB of Hong Kong Airlines taxis on the airport runway. Front view. Blagnac Airport, Toulouse / France - 12.15.2018. Airbus Plant. 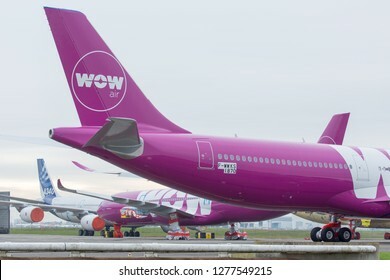 New passenger aircraft Airbus A330neo of WOW Airlines. Aircraft nose Close-up. Male City / Maldives. 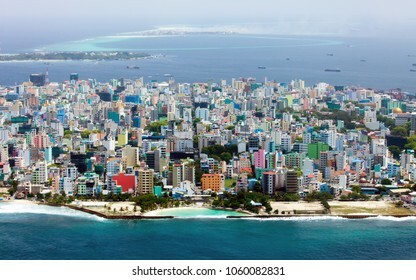 Maldivian capital from above / close up. 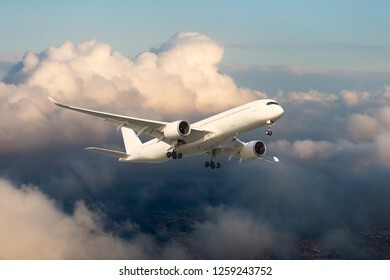 White passenger plane fly above the foggy mountain landscape. Front view of aircraft. Toulouse / France - 12.17.2018. Airbus Plant, Blagnac Airport. 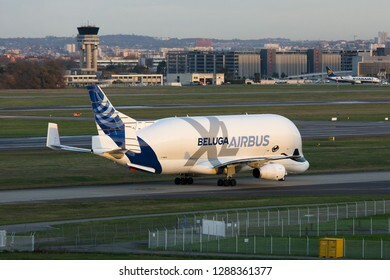 Modern cargo plane Airbus A330-743L Beluga XL taxis on the airport runway. 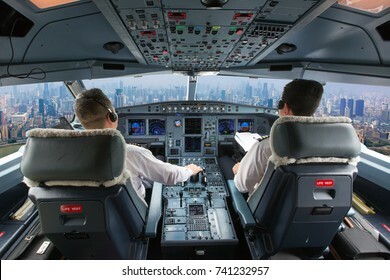 The cockpit of a modern passenger aircraft in flight. 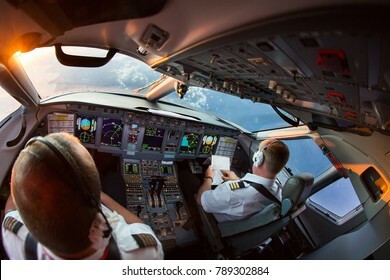 Pilots at work. A view from the cockpit to the skyscrapers of the business center of a big city. Moscow / Russia - 02.26.2014. Domodedovo International Airport. 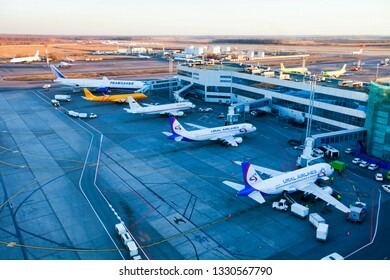 Top view of the apron of Domodedovo airport. Planes of Ural Airlines, Rossiya Airlines, Saratov Airlines, Transaero Airlines. Handling. 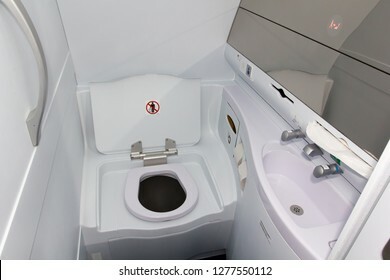 Passenger airplane lavatory. Toilet seat and wash basin closeup. The view from the passenger aircraft cockpit. Pilots at work. The airplane climbs over the cityscape and skyscrapers at sunset. 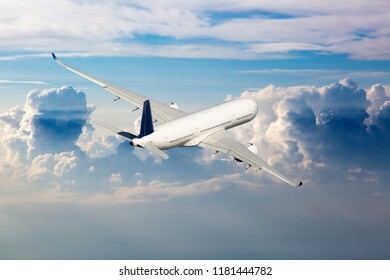 White passenger plane in flight. Aircraft fly high over the sea coast. 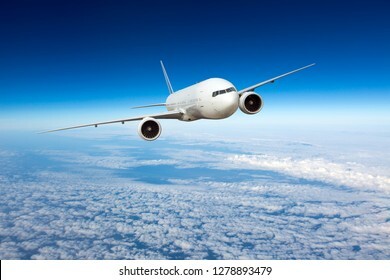 A passenger plane flies in a transparent clear blue sky. The plane is flying over the clouds. 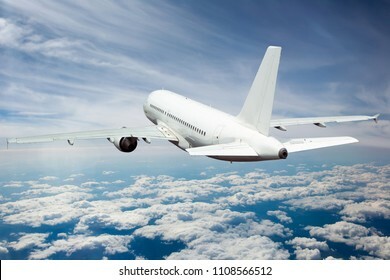 Passenger plane in flight. 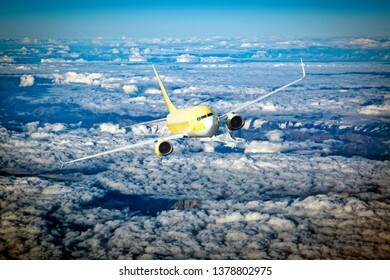 Aircraft fly high in the sky above the clouds. Front view. Passenger plane flies high over the clouds and mountain landscape. Aircraft top view. 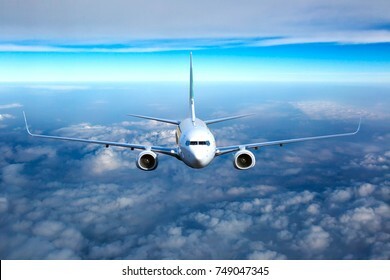 Passenger aircraft in flight. The plane flying high above the sea. Front view. 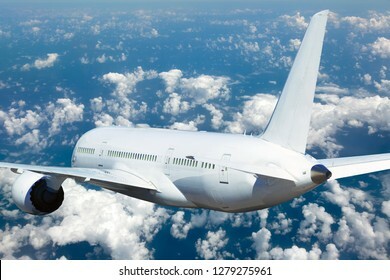 White passenger plane in flight. Aircraft fly over the turquoise sea. 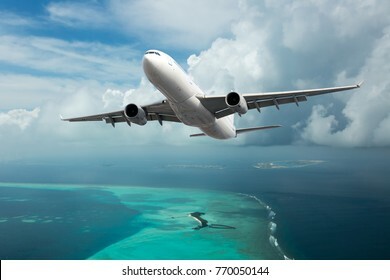 Passenger plane in flight. The plane on the background of the sunset orange sun. Front view of aircraft. Left heeling. 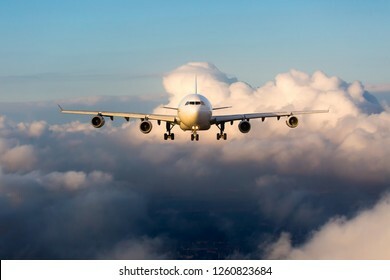 Passenger plane in flight. Front view of aircraft. Sunset time. 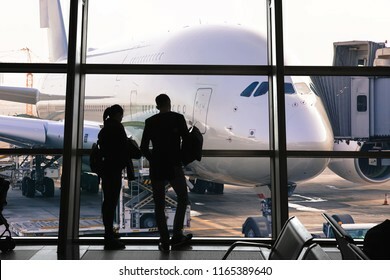 Passengers at the airport look through the window to the plane. Silhouettes of travelers against the backdrop of a passenger aircraft. White passenger plane with red Tail in flight. 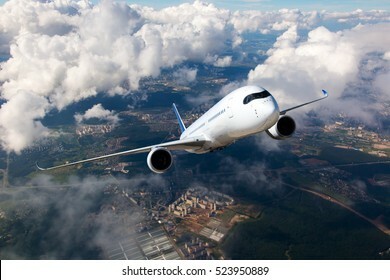 Aircraft flying high in the sky above the clouds. 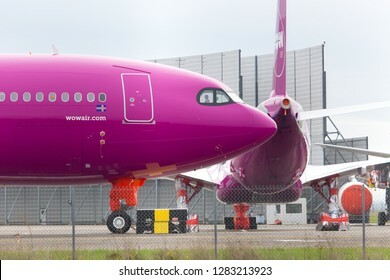 Front view of airplane. Moscow / Russia - 02.26.2018. Domodedovo International Airport. 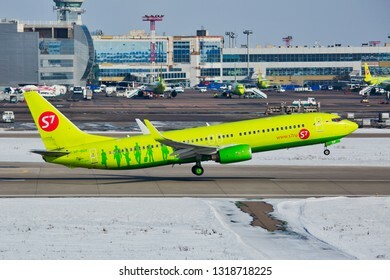 Passenger plane Boeing 737 of S7 Airlines (Sibir Airlines) takes off from airport runway. Tanks with aviation fuel in the background. Komsomolsk-On-Amur / Russia - 08.16.2013. 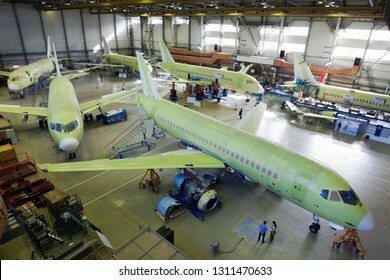 Assembly production of the Sukhoi Civil Aircraft. 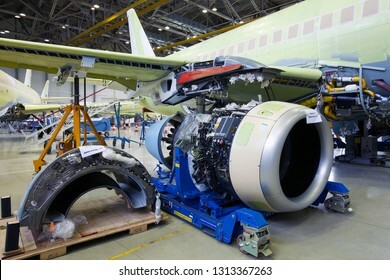 Final assembly line of aircraft Sukhoi Superjet 100. Airplane front view. Moscow / Russia - 02.26.2018. Domodedovo International Airport. 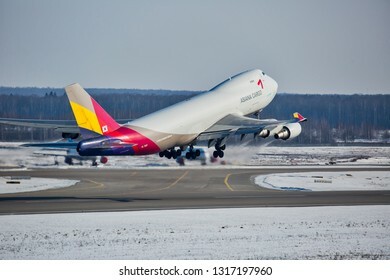 Cargo plane Boeing 747F (Freighter) of Asiana Cargo Airlines climb into the blue sky. 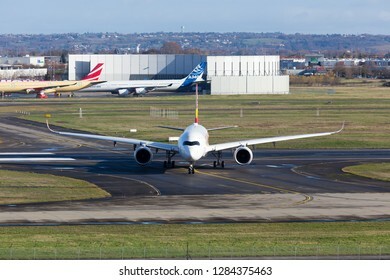 White passenger airplane on the airport runway. The plane is taking off during a colorful sunset. Catania International Airport, Sicily / Italy - 09.04.2018. Passengers terminal and airfield. Komsomolsk-On-Amur / Russia - 08.16.2013. 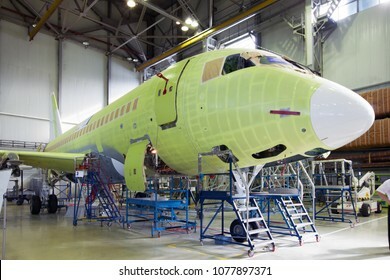 Assembly production of the Sukhoi Civil Aircraft. Final Assembly Shop. Engine SaM146 of aircraft Sukhoi Superjet 100. Komsomolsk-On-Amur / Russia - 08.16.2013. 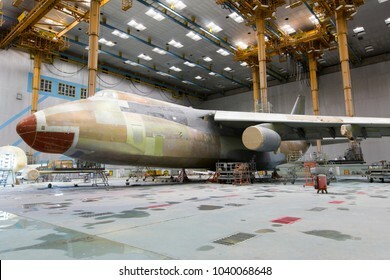 Final Assembly Shop of the Sukhoi Civil Aircraft. 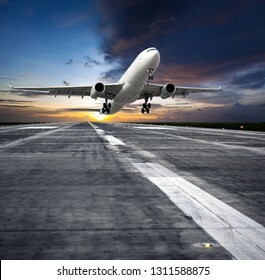 Passenger aircraft takes off from the airport runway. The plane is climbing into the sunset sky. 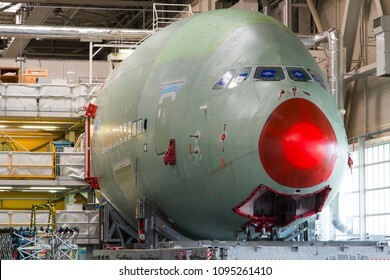 Aircraft with the image of a Christmas tree on the keel. 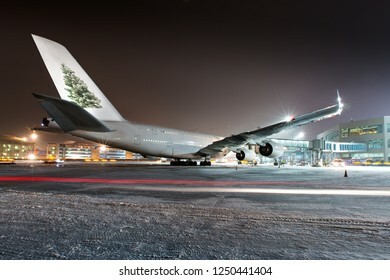 Double-decker passenger plane parked near airport terminal at night. The airplane rear view. 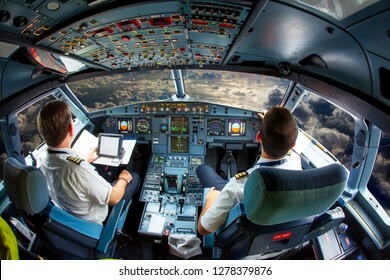 The cockpit of modern jet airplane. 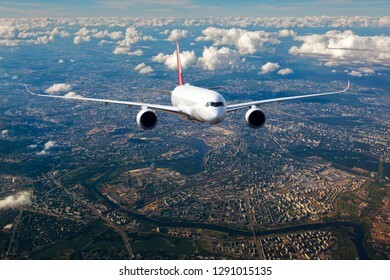 Aircraft flies above the city landscape and river. 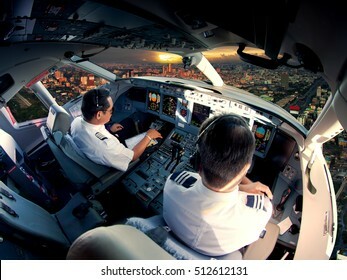 Pilots at work. 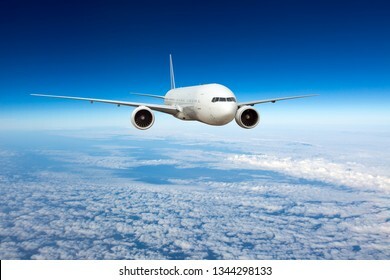 Passenger plane in flight. 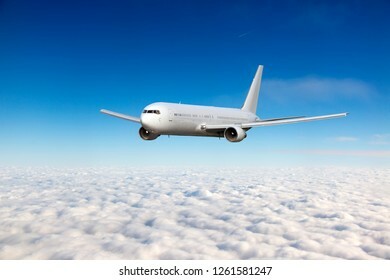 Aircraft flies high in the blue sky above the clouds. Front view. Right heeling. Military Air Base / Russia - 08.24.2018. Militrary aircraft of «Judgement Day» Ilyushin IL-86 VKP (flying command and control post) makes a training flight. Orange passenger plane in flight. The orange aircraft flies high above the clouds. White passenger plane fly away. Back view of aircraft. 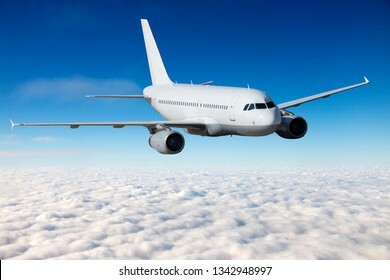 White passenger plane in flight. Aircraft flies high above the clouds. Rear view of aircraft. Close-up. Paris / France - 09.04.2018. 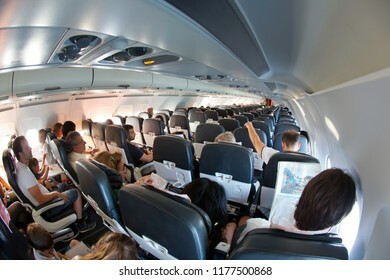 Passengers fly in the plane Airbus A320 of Air France. Economy class of aircraft. 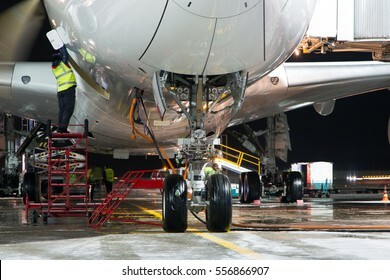 Pre-flight service of modern passenger aircraft in the night airport. The main landing gear close up. 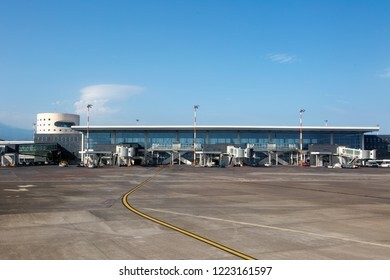 The plane is parked on the airport apron. A passenger plane flying in the colorful sky. 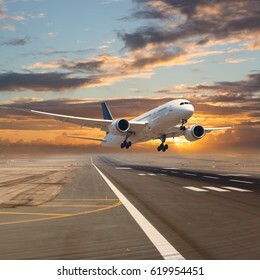 Aircraft takes off from the airport runway during the sunset. 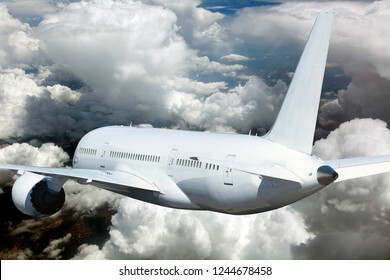 White passenger plane in flight. 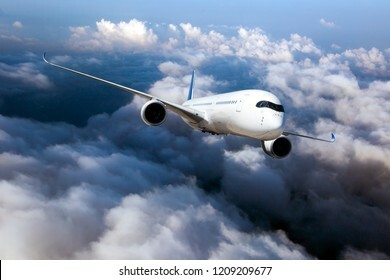 Aircraft flying high in the sky above the clouds. Airbus Plant, Toulouse, France - 03.03.2018. Factory inside. The final assembly shop. Nose of Airbus A380 closeup. Passenger plane flies over the quarters of big city. Front view of aircraft. 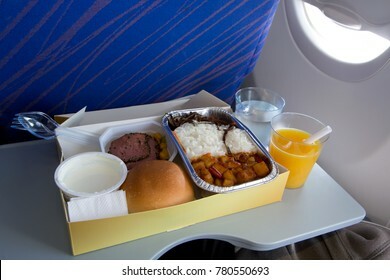 Food in airplane. On board meal set on the tray. Meat appetizer, butter, bread, yoghurt. Hot dish in the aluminum lunch box: chicken, rice and vegetables. Drink: orange juice and water. Toulouse / France - 12.17.2018. Airbus Plant, Blagnac Airport. Modern cargo plane Airbus A330-743L Beluga XL taxis on the airport runway. Sunset time. 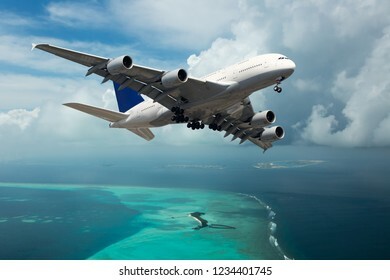 Passenger double decker aircraft in flight. 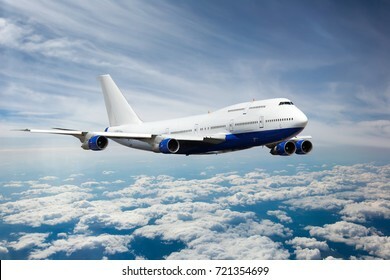 White passenger plane is gaining height. Toulouse / France - 12.17.2018. Blagnac Airport, Airbus Plant. 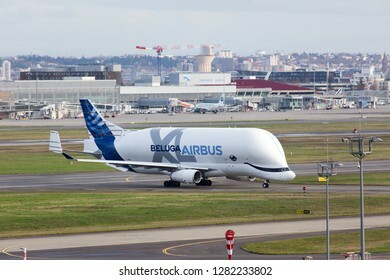 Modern cargo plane Airbus A330-743L Beluga XL in flight. Denpasar, Bali / Indonesia - 03.23.2018. Ngurah Rai International Airport. 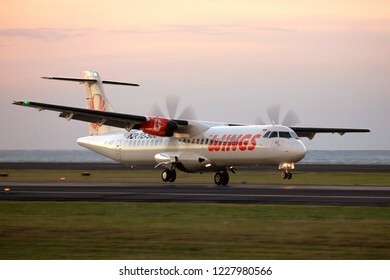 Passenger aircraft ATR 72 of Wings Airlines (Wings Air) landing during the sunset time. Modern passenger aircraft on the airport runway. Airplane front view. Winter time. 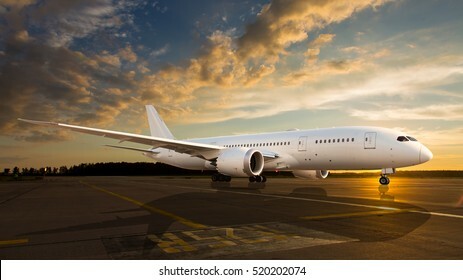 White passenger plane. Aircraft front view. 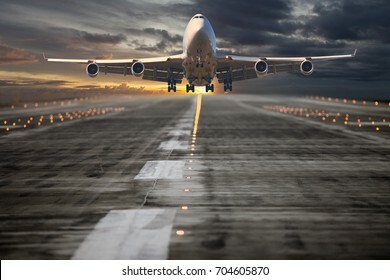 Airplane take-off from airport runway during the sunset. White passenger jet plane in the blue sky. 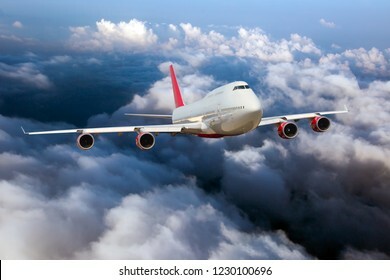 Aircraft flying high through the cumulus clouds. Airplane front view. Passenger jet plane in the sky. Airplane flies high through the clouds. Aircraft front view. Front view of the passenger plane in flight. Left heeling of aircraft. Thunderclouds in the airplane background. 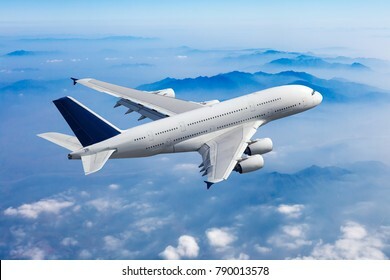 White passenger plane in flight. 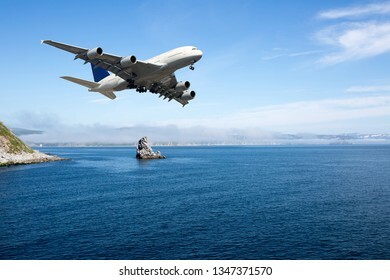 Aircraft fly high above the sea coast. Front view. Toulouse / France - 12.17.2018. Blagnac Airport, Airbus Plant. 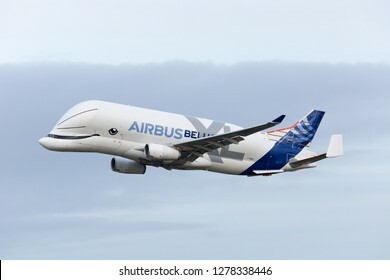 Modern cargo plane Airbus A330-743L Beluga XL in flight. Close-up. White passenger plane flies above the mountain landscape. Front view of aircraft. 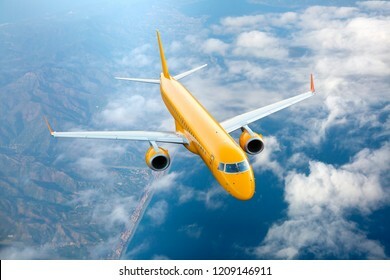 Front view of yellow passenger plane in flight. Left heeling of aircraft. Cumulus clouds in the aircraft background.